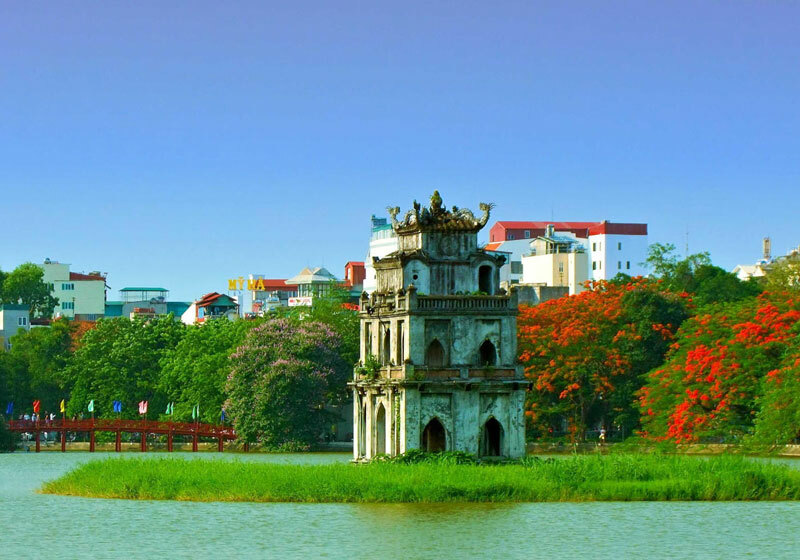 Located in the historical center of Hanoi, Hoan Kiem Lake is one of the major scenic spots in the city and serves as the locals’ favorite leisure spot. Hoan Kiem means “returned sword”, and the name comes from a legend in which King Le Loi was given a magical sword by the gods, which he used to drive out the invading Chinese. Later he returned the sword to the Golden Turtle God in the lake. Short Description: Hoan Kiem Lake, also known as Hồ Gươm, is a lake in the historical center of Hanoi, the capital city of Vietnam. The lake is one of the major scenic spots in the city and serves as a focal point for its public life.